Because of its renewed focus on specialized process technologies and competition, GlobalFoundries has opted to reconsider its plans concerning its Fab 11 located near Chengdu, China. Rather than offer mature bulk fabrication technologies, the manufacturing facility will focus on FD-SOI and other differentiated processes. In addition, GlobalFoundries and its partners from China are now revising their timeline for the fab, removing parts of the project to accelerate straight into its second phase of deployment. 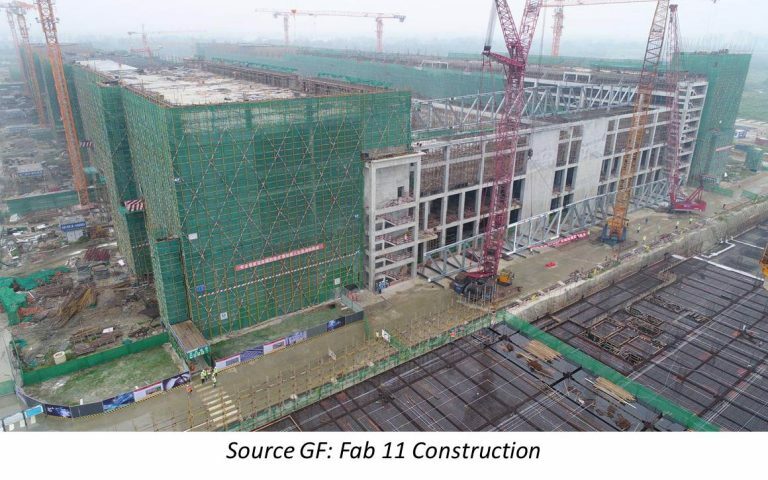 Fab 11 was/is built as a partnership between GlobalFoundries and the Chengdu municipality. The original plan for the Chengdu fab included two phases with an aggregated capacity of approximately 1,000,000 wafers per year when both operate at full capacity. The first phase was to start operations in 2018 and process around 20,000 wafers per month using mainstream 180/130 nm fabrication technologies originally developed by Chartered for various general-purpose chips. The second phase was to begin operations in 2019, use GlobalFoundries’ 22FDX process and gradually expand its capacity to 65,000 wafers per month. At the same time, one of the terms of the agreement between GF and the Chengdu municipality was to develop an FD-SOI ecosystem locally. 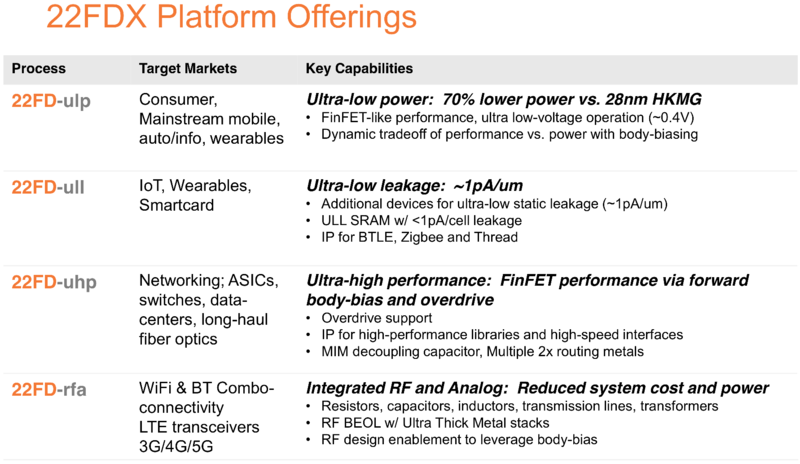 Based on various reports, GlobalFoundries has failed to land orders for chips to be made using bulk 180/130 nm fabrication processes. As a result, the company will not equip its Fab 11 for those processes, but instead will jump straight to 22FDX. So far, GlobalFoundries has landed orders from six customers in China for 22FDX chips and these clients are currently ramping up their wafers at Fab 1 in Dresden, Germany. The company does not comment on the volumes and capacities these six companies need, nor the volumes or capacities it expects to be needed in the future. However, at present, GlobalFoundries and the Chengdu municipality are reconsidering their plans regarding the fab. 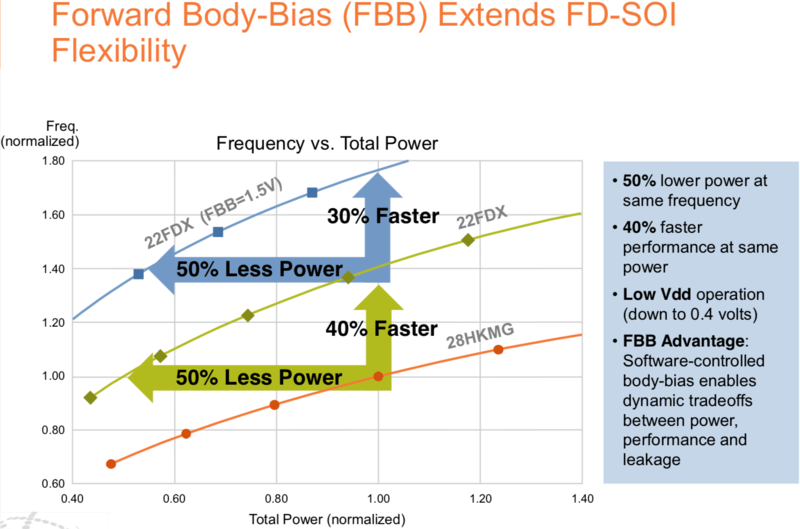 Meanwhile, the company still expects its Fab 11 to feature a “substantial” FD-SOI capacity. 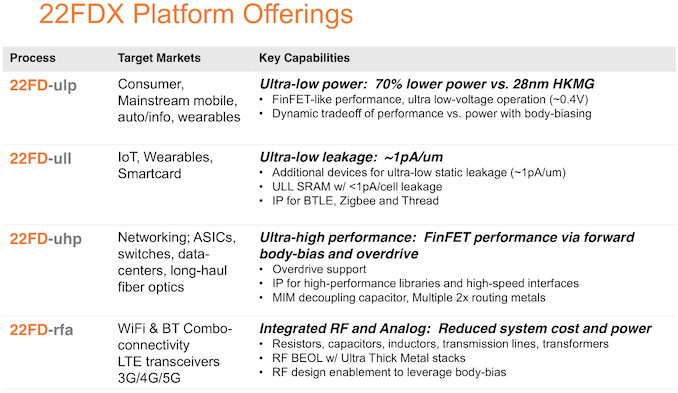 “The timetable on when the Chengdu fab will kick off commercial production is still being discussed between GlobalFoundries and the Chengdu municipality and will be available when we reach a consensus,” an executive said. Keeping in mind that right now GlobalFoundries does not have a clear understanding regarding its fab in Chengdu, it is obvious that the facility will struggle to begin operations in early 2019 and it remains to be seen when exactly it is set to start processing wafers in 2020. Although the Fab 11 project looks to be stalled, other FD-SOI projects are developing as planned. The company is on-track to start production of chips using its 12FDX manufacturing technology in early 2019 at Fab 1, which looks like a rather aggressive plan. The 12FDX promises to provide a 26% performance improvement or a 47% lower power when compared to 22FDX, which brings it close to 10-nm-class fabrication process from competitors. IanCutress: @DanielSann10 @AMD AMD has die stacking? andreif7: @IAN_PAPA700 Thanks, I'll fix that one in bit. andreif7: @MishaalRahman Yea I'll look into it. For some reason the last Odin flash resized my internal storage to 32GB until I re-wiped it again.